“Video always tells a better story than a piece of text or an image, and you can cram more information in it,” explains Oksana Danshyna, social media manager at online video and graphic editor Crello. 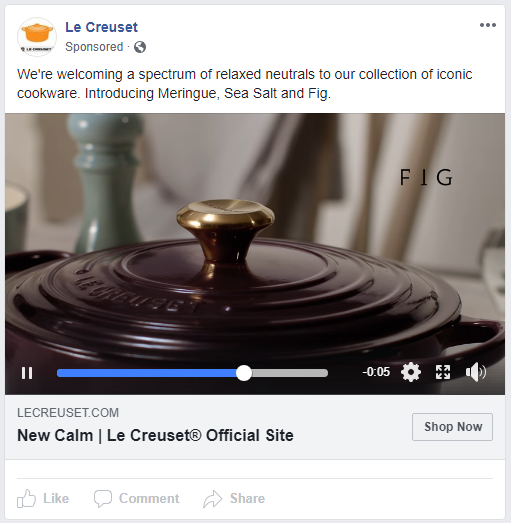 “What many in the industry have noticed is that Facebook ad algorithm clearly prioritizes ads in video formats over static. 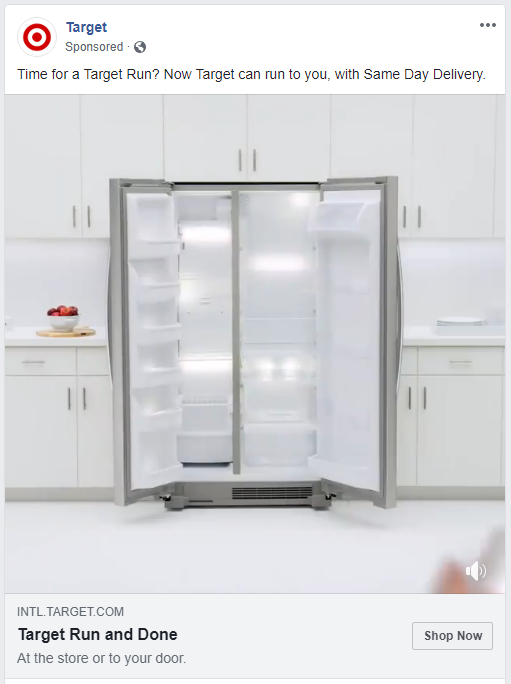 To the point where we sometimes see brands trying to leverage this by uploading clearly static content in a video format just to have their ad rank higher and thus achieve more reach,” she adds. Video and animation are your best bet when it comes to Facebook advertisement not only because they are a more engaging format, but also because the platform itself favors the format. Let’s take a look at why your motion ad content and quality makes all the difference and the 5 ways to improve it. 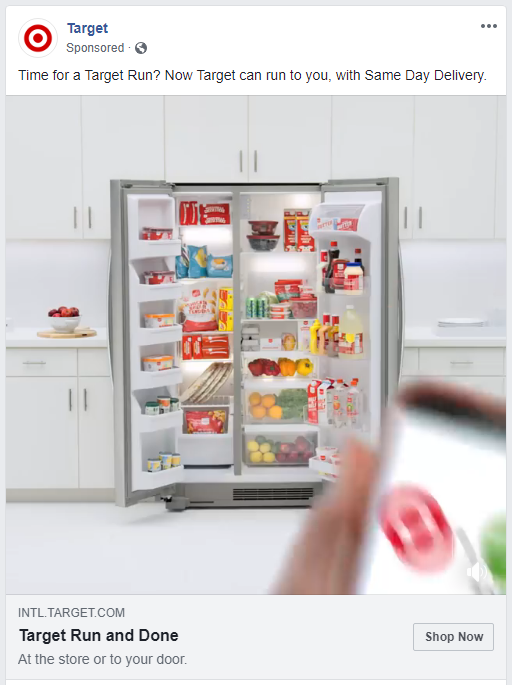 When it comes to video and animated ads on almost any social media platform, you can see that advertisers often forget – social ≠ TV. Don’t expect users scrolling past your ad in their Facebook feed to watch the whole thing. Assume you have 2 seconds to spark an interest. As a small or medium business selling product, you want to showcase the item you are selling + price. If you are having a sale, offering a discount or some type of a deal – lead with that. Ideally, you can make it clear for the viewer what problem the item will solve for them. 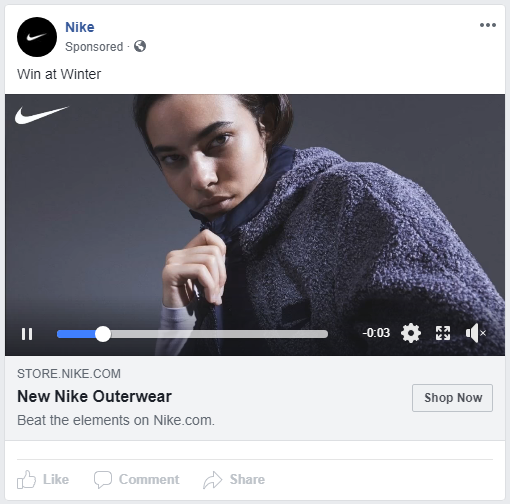 Take a look at these 5 insights into using motion in brand Facebook ads for attracting customers. Start your video or animation with a colorful or pretty visual that both corresponds with your message and is pleasing to the eye. 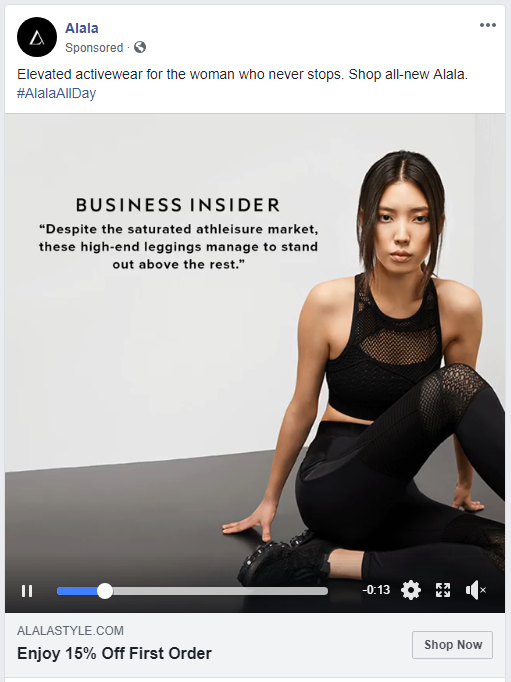 In this Nike ad the brand added their logo to make it easy for any occasional scroller to attribute the video to the company and make the connection that the ad is about a new collection. Is this an ad about selling jewelry, makeup or clothes? This is not the question you want your viewer to be asking when watching your ad. 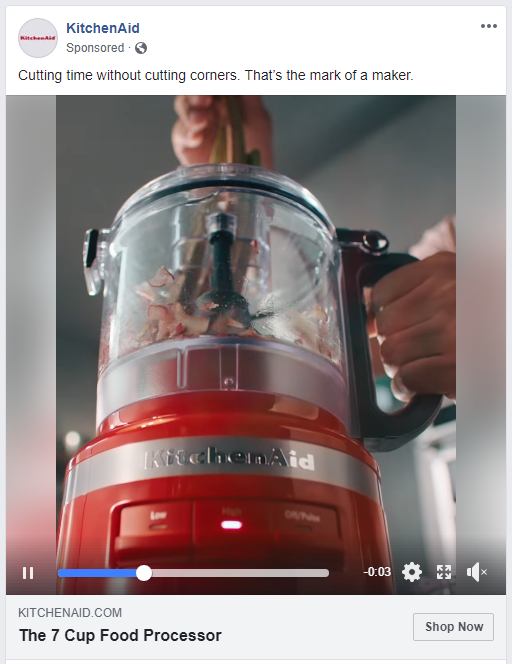 Make the point of your video clear from the beginning – a Facebook product ad is not a movie trailer, most users will not be intrigued by the suspense and simply skip your content. 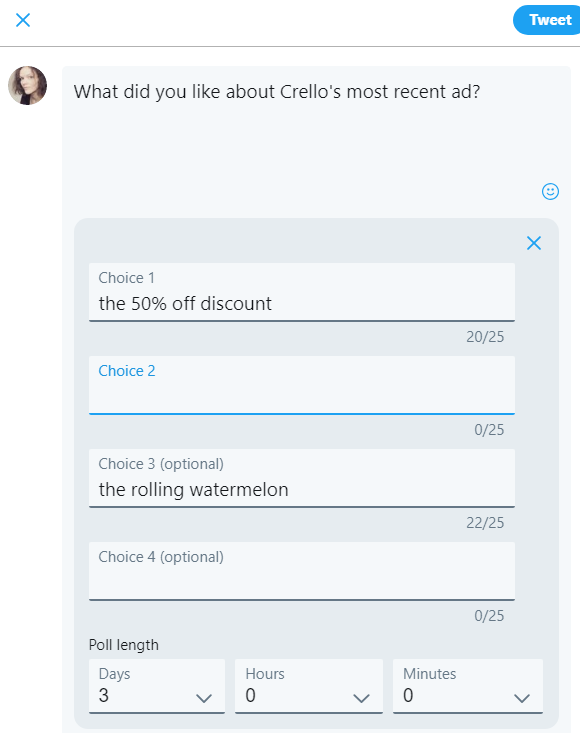 To help evaluate clarity of your ad for someone not familiar with your company and products, ask an outsider to try and guess what is being advertised in your ad. Your ad might seem perfectly clear for your team, but still feel pretty confusing to people encountering your brand for the first time. Does your customer really need another pair of jeans, new curtains or a phone case? Pick one key value your product is bringing to the customer’s life and talk about it in your visual. Know exactly how you will be improving the life of your customers and present your argument in a compelling and concise way. The strong suit of animated and video ads is the significant amount of information they can convey in a very short amount of time. 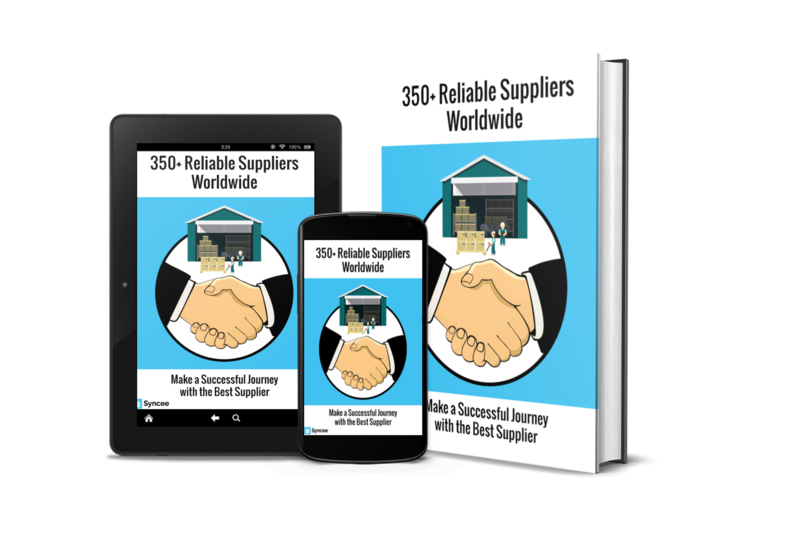 You can show off your product in action, include pricing or deal information, as well as all the closeups to help display the quality of your product. 96% of consumers find videos helpful when making a purchase online, according to Animoto study. 71% of consumers say videos are the best way to bring product features to life, according to Invodo. Seeing the product at multiple angles and up close makes your customer’s purchasing decision much easier. When your ad says it all in bold large typeface, the viewer doesn’t need to read the text coming before or after the video. If you want the copy surrounding your ad to stand out, weave it with the video in an organic manner. Motion ads attract attention, bring more engagement, have higher reach and conversion rates. That’s what we keep hearing, but don’t take anybody’s word for it – measure the efficiency of your ads. Here are a few ways to do that, that are bound to get you started on the process. Ideally, your campaign ROI is a positive, not a negative number. In that case, your next step should be creating and testing a few motion ad variations to see which works best. Take advantage of Facebook’s A/B split testing option to randomly divide your target audience into groups and run different ads for each to test effectiveness. Ask your customers if they remember your ads and what stood out for them the most. Use built-in social media polls in your Facebook groups, on your brand Twitter profile or on Instagram Stories. You can also go the classic route of creating a SurveyMonkey online poll and share the link through many platforms to get all your polling information in one result graph. • ensuring a natural transition between your video and ad copy. 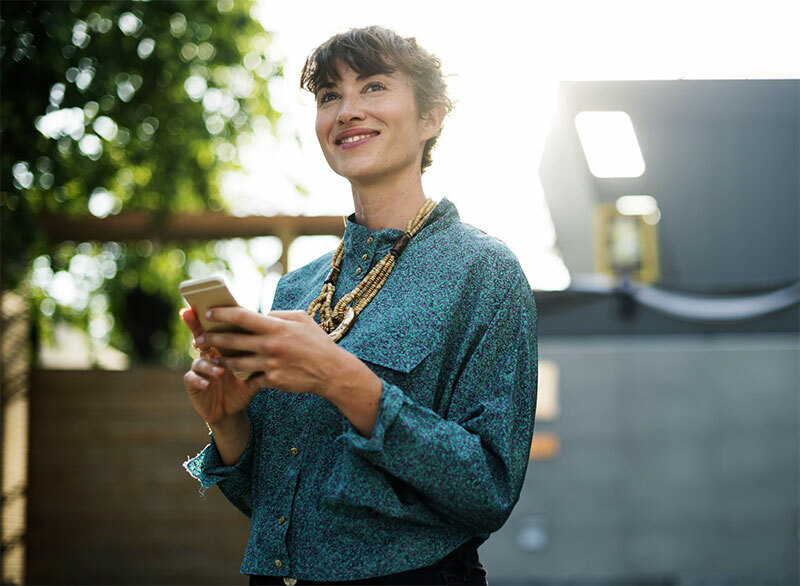 Creating video ads may prove to be a little more challenging than simply running an image or carousel ad on Facebook, but the boost in reach and engagement you will get from an efficient video or animated ad is worth it. To save time on ad production, use animated and video templates for your ads.